Mislim da je fabricki Reno nesto promasio i u podesavanju. Oni su u Belgiji u srednjem sektoru prakticno bili pandam vodecim timovima, dok u Maleziji nisu mogli prici ni blizu njihovim vremenima. Jedna je stvar biti o nekom sektoru blizu najbtzima, a sasvim druga biti najbrzi, osvojiti gran pri. Ocigledno fabricki reno mora jos mnogo, mnogo da radi, uci i ulaze da bi dostigo red bul. Stoffel Vandoorne insists he is ready to lead McLaren next season if Fernando Alonso doesn't agree to a new contract with the team. Alonso's future has been the subject of much speculation this year, with his current contract set to expire at the end of the season. The recent announcement that McLaren will switch from Honda to Renault power units in 2018 is expected to convince the Spaniard to stay, but Alonso has highlighted the gap between this weekend's race in Japan and the United States Grand Prix on October 22 as the time when he wants to finalize his plans. Vandoorne has impressed in the past two races, scoring consecutive seventh-place finishes to move ahead of Alonso in the drivers' championship, and takes confidence from his recent improvement. "A hundred percent," Vandoorne told RACER when asked if he feels ready to lead the team if Alonso were to leave. "I think everything is going in the good direction. The team relies a lot on me, because I spend a lot of time in the factory as well with the aerodynamicists, in the simulator, with the other technical guys. "So for sure [I feel ready to lead]. I mean, Fernando is not going to continue forever so how long he will stay in F1, if he will stay with us, I don't know. I'm just pushing from my side, not thinking too much about my teammate to be honest and to really trying to prepare for the future." The switch to Renault power will see McLaren running the same power unit as Red Bull, and Vandoorne highlights the Malaysia Grand Prix winners as a good marker to try and get the better of in 2018. "I hope we can [beat Red Bull], yes. How big a step of performance we will make next year is difficult to say. I think it will definitely be better and for sure Red Bull is a big benchmark for us, so I think it should be our aim to be very close with them but still we have to wait and see. "It will already be a big step forward. On some circuits we will be close but I think we need to wait and see how we progress." Busa se mali, nadasve prerano. Alonso se mučio s setapom bolida sa novim delovima u Maleziji tako da rezultate s treninga Fernando nije ni s 110% mogao realizovati u kvalifikacijama i u trci. A o Singapurskoj katastrofi da ne pričam Ima da se ponovi 2015 te će Alonso izgubit duel s kolegom zbog gluposti. Jenson Button could be replaced as McLaren’s reserve driver next year, with Glastonbury racer Lando Norris a candidate to take up the role. Button has not raced full time in Formula One this season but has remained signed to the team and replaced Fernando Alonso at the Monaco Grand Prix when the Spaniard raced in the Indy 500. The 37-year-old has said that he wishes to return to motorsport in 2018 and race in another series, but with Alonso and Stoffel Vandoorne almost certain to remain as McLaren’s pairing next season, it will not be in F1. If the Frome racer is to take part in another series it could clash with his commitments with McLaren, leaving the team with no choice but to replace him. And it is fellow Somerset driver Norris, who looks poised to clinch the European Formula Three title this weekend, who is being touted for the role. McLaren racing director Eric Boullier said: "In my view, Jenson wants to spend next season in a racing series, and it is obvious that we cannot offer him that. "But he is also an ambassador of the McLaren brand, and we would be happy to continue this cooperation. "Let's see [with Lando], because if he becomes F3 champion, which is quite possible, he will have enough points to receive the super licence." Norris has been linked with a move up to Formula 2, which runs on the F1 support bill, in 2018, making him a strong candidate to step up to a race seat if required. McLaren will need some time to catch up with the top Renault-powered team in F1. That is the claim of boss Eric Boullier, as the British team prepares to switch from Honda to customer Renault power for 2018. Fernando Alonso, who is yet to sign a contract for next year, has said it is possible McLaren will win races in 2018 because Red Bull has also managed to do that with Renault engines. But team boss Boullier is quoted by the Spanish daily Marca as warning that catching Red Bull might take some time. "If you have a ten-year relationship with a partner, you obviously have a different starting point to us," said the Frenchman. "But we are in the process of building that relationship now. It will take some time, but we are motivated to do our best. "We are McLaren, we exist to win, so we're going to do everything to achieve that," Boullier added. He also acknowledged that, after three seasons as the exclusive Honda partner, McLaren will now have a strong benchmark in the form of Red Bull next year. "If you have the whole package - which means a good engine, the best car, people and driver - you should win. So for us the pressure is the same," he said. "If another team has the same engine and you don't beat them, then you know something is wrong with the rest of the package," added Boullier. A DUNDEE business will be supplying luggage to the likes of Fernando Alonso after striking a deal with F1 team McLaren. 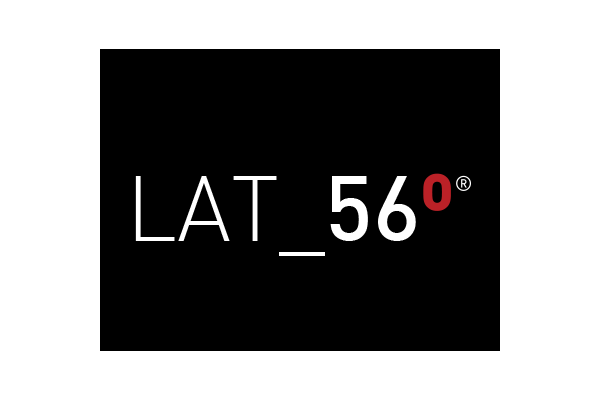 Performance travel luggage brand LAT_56 has signed a four year deal to become the legendary race team’s official luggage supplier. Established in 2010 by Scottish designer Kevin Fox, Latitude 56 Degrees has been working with experts at McLaren for 10 months to create new travel items which meet the F1 squad’s exact specifications. The partnership will see the entire McLaren race team carry LAT_56 luggage items from across its range as it embarks on the 2018 Formula 1 season. The team’s drivers include former world champion Fernando Alonso. Mr Fox said the deal would play a key part in the company’s ambitious plans to increase sales across the globe. “This long-term partnership will open up the opportunity for us to collaborate on future product developments with one of the most innovative engineering and design teams in the world, and at the same time give us access to a truly global marketing channel,” he said. The McLaren LAT_56 collection, which includes suitcases, wheeled carry-ons, check-in bags, laptop bags, briefcases, backpacks and wash bags, will launch officially in late November. Fernando Alonso will contest the 2018 Formula 1 season for McLaren, it was confirmed on Thursday, finally ending speculation that the two-time world champion could leave the team after what has been another frustrating campaign. Alonso, who will again race alongside Stoffel Vandoorne, had been widely expected to re-sign with McLaren ever since the team announced last month that they are to switch from Honda to Renault power next year – a move they hope will return them to the sharp end of the grid. “It’s fantastic to be able to continue my relationship with everybody at McLaren,” said Alonso. “It was always where my heart was telling me to stay, and I really feel at home here. This is a fantastic team, full of incredible people, with a warmth and friendliness that I’ve never experienced elsewhere in Formula 1. I’m incredibly happy to be racing here. “Just as important, McLaren has the technical resource and financial strength to be able to very quickly win races and world championships in F1. Although the last few years have not been easy, we have never forgotten how to win, and I believe we can achieve that again soon." It will be Alonso’s fourth successive year with McLaren and his fifth in total. He rejoined the team ahead of the 2015 season when the Woking squad also revived their previously, highly successful partnership with Honda. They were unable to rediscover that success, though, as the Japanese auto giant struggled to get on top of the current generation of hybrid F1 power units, and Alonso has yet to better fifth place in Honda-powered machinery. Commenting on retaining Alonso for next season, McLaren’s Racing Director, Eric Boullier, said: “With Fernando, you really can’t ask for a better driver to deliver a result for you on a Sunday afternoon – and I think everybody in Formula 1 would acknowledge that sentiment. “He’s always been clear to me that this is a team he loves, and that his heart has always been set on staying. Today’s announcement shows that he’s fully committed to racing and winning as a McLaren driver, and, while we’ve often shared his frustrations over the past few years, we now feel that we can deliver on our promise to give him a competitive car next season. McLaren could paint its Formula 1 car in its historical ‘Papaya Orange’ colours next year, as it closes in on making a final decision about its 2018 livery. 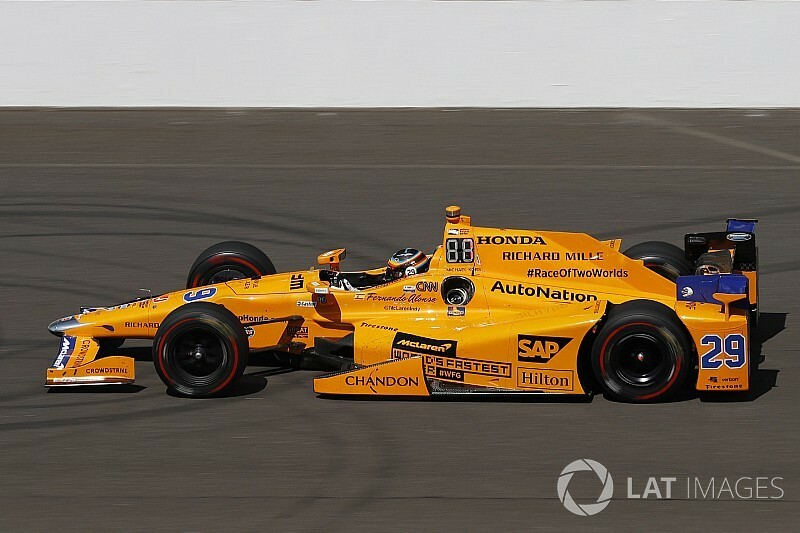 The Woking-based team switched to a bright orange scheme this year, but there has been a push from fans for it to run the ‘Papaya’ version that Fernando Alonso used for his assault on the Indianapolis 500 (pictured above). While a final call on colours will depend on the outcome of sponsor talks over the next few weeks, McLaren executive director Zak Brown says that a change to ‘Papaya’ is possible. “We are starting to look at car designs now,” he said. “I think the fans want us to go to Papaya Orange for sure. When we did the IndyCar we had an overwhelming amount of 'Please make your F1 car like that'. "We are waiting on a few sponsor decisions which also can dictate what a car looks like. I wouldn’t rule it out." Brown said that the extent of orange on the car next year would rest on what sponsors arrive, but he said it was unlikely there would be the kind of total rebranding that Force India did this year when it turned pink for water sponsor BWT. “We have all sorts of designs going on, but we need to see where we land on some of the sponsor activity and that will dictate a bit of that,” added Brown. “We would like to keep some orange. We think it is part of our identity, especially moving forward. But we are a commercial entity. Pink might be a bit extreme though." Brown has said he is optimistic that McLaren will add fresh sponsors in 2018, but he is doubtful about there being a title sponsor in the near future. Asked about the potential for a title sponsor, he said: “I have been looking at how you break down commercialising the team. And not for the reasons that Ron [Dennis] mentioned that there will never be a title sponsor again, I don’t think we will have a title sponsor per se. “I think the title of the team is McLaren. Unlike NASCAR where the team gets referenced by the title partner, that doesn’t really happen in F1. So I think to be a title partner doesn’t give you the benefit that it does in other series. McLaren wants Renault to power the once-great British team back to the podium in 2018. After three bad years with Honda, McLaren has dumped the Japanese manufacturer to switch to customer Renault power units. But McLaren boss Zak Brown denies that the decision to dump Honda was made because of pressure applied by Fernando Alonso. "He never came and said 'We need a new engine'," he told Auto Motor und Sport. "Fernando just wanted to know what our plan was about taking a step closer to the front with our power unit," Brown said. He says another major consideration was that after three fallow years, McLaren simply could not afford to languish again in 2018. "We have many talented people that the other teams would love to have," said Brown. "We have to provide a healthy platform." However, dumping Honda will cost McLaren dear, due to lost sponsorship, a Renault engine bill and Alonso's reportedly EUR 30 million 2018 retainer. Brown said: "We have very good shareholders who put the performance of the team first. And we have a lot of money in the bank." And so he says he is looking forward to a better showing in 2018. "It feels like a new start," he said. "We now have everything we need to be competitive." However, Brown is warning that fellow Renault-powered teams including Red Bull have a head start over McLaren. And he added: "The guys at the front are very fast. We need to bring our A-game. We're hoping for podium finishes. "But if we put the podium as a definite target and finish fourth, then we would be disappointed. But actually that would be our best result in years. "Will we be able to win the title next year? There a risk of setting the bar too high." On the other hand, Brown said he likes what he sees from Renault so far. "We've been at the engine factory a few times and we like what we see," he confirmed. Samo polako sa obecanjima i najavama podijuma, pobeda, titula. Valjda se nesto naucilo i od Hondinih suludih prica o "performansama na nivou Ferarija do Spa i Monce" i slicno, pa posle vadjenja da to nisu bila "obecanja" nego "zelje". Bolje mudro cutati nego obecavati kule i gradove. Zac Brown se i prosle godine istrcavao sa slicnim izjavama, valjda to radi da smiri investitore i privuce paznju medija, a gde su mediji tu su i sponzori. To mu je valjda i posao. McLaren je u pravim rukama. Mozes biti sarkastican koliko hoces, cinjenica jeste da je (kao sto je i Radoje rekao) on bio glasnogovornik tima. Sto je odlicno da se sve zavrsilo prve sezone. Tu mislim da se slazemo. Tu je trebalo preseci. Ili dozvoljavamo njemu i dalje da iznosi cinjenice i otvoreno ismeva i pravi jos veci pritisak, batalimo Hondu i idemo od nule ili njemu ultimatum da cuti ili ide, a Mekalren nastavlja sa Hondom. Vi ste dosli u poziciju da svi sponsori napuste tim, konstruktorski tim postavlja ultimatume da sve dodje do tacke pucanja i onda otkacite Hondu skoro bez plana kako to premostiti (pricam o parama) do nove tehnnicke regulacije? Jel vidite sta radi STR? Za 2018-tu dva anonimusa. Niko nece ni primetiti da li su na stazi. To je isto trebalo Meklarenu. Dok ne proradi. Meni je jasno da branis Alonsa u svakoj prilici, ali cinjenica je da bi fokus na neuspeh i probleme Meklarena daleko bio manji da GP2 GP2 i ostale direktne izjave iz kokpita direktno u trci nisu dosle iz njegovih opravdanih frustracija. Da su bila dva anonimusa, pa bili bi statistika. Ja licno mislim da je saradnja trebala da se zavrsi odmah. Odmah. Ali, posto mnogo para donose i ocigledno je da su motori komplikovani, a para nema, onda gde su 2-3 sezone, bice i 5, mozda bi i proradilo to na kraju. Opet, sledeca sezona je kriticna za Meklaren. Ja licno mislim da vi morate da osvojite sampionsku titulu. To je jedino sto vas moze vratiti u fokus. Mid-field igraca imate koliko hoces, Wilijams, Force, Reno, o Ferrariju i RB da ne pricamo. Sve njih treba da pobedite pa onda Mercedese. Toliko verujete u sposobnosti svojih konstruktora? Eno ga jedan genijalac sedi u RB. Koliko vidim samo po neki put im uspe. Reci mi otvoreno da li bi vise voleo da gledas Meklaren kako se muci jos 2 sezone i onda spakuju to kako treba, i poslednjoj osvoje titulu, ili da ih gledas sledecu deceniju-dve u rangu Wilijamsa? Wilijams uzimam kao primer nekada sampionskog tima, sa fenomenalnim rezultatima, koji je vec par skoro 2 decenije igrac sredine grida. Pare nisu problem. Meklarenovi vlasnici su nestvarno bogati i nadomestice za 2018. sve sto ce biti izgubljeno u finansijskom smislu odlaskom Honde. Meklaren ne mozes da poredis sa Toro Rosom. Meklaren je najveci tim u F1 (da, rekao sam to, Meklaren je najveci tim u istoriji F1). Meklaren ne moze da priusti sebi, zapravo, ne sme ni da pomisli na to da provedu godine u anonimnosti, jer tehnicki i ljudski resursi koje imaju na raspolaganju, uz nenormalno bogate vlasnike koji zele rezultate i armiju navijaca i sve sto Meklaren kao brend predstavlja ne dozvoljavaju takvu opciju. Ni pomisao na takvu opciju. Zato je tim morao da deluje i odstrani kancer u vidu Honde koji je pretio da unisti tim u svakom smislu u sledece 2 ili 3 godine, kao sto su unistili svoj nekadasnji tim pre samo 9 godina koji je na kraju prodat za jedan dolar i koji nije imao nijednog jedinog sponzora. Doveden je proizvodjac motora koji za sada zaostaje za Mercedesom i Ferarijem ali koji garantuje borbu za podijum uz adekvatnu sasiju, koju Meklaren itekako ima. Alonso je bio taj koji je drzao Meklaren relevantim u javnosti ove godine. Ne branim ga u svakoj prilici, da je posle svega sto je tim Meklaren ucinio za njega i nacina na koji su ga tretirali, kao bozanstvo, izdao tim i otisao, "zamrzeo" bih ga. Prve sezone komentari koje je davao su isli preko radija i to je FIA objavljivala. Ove godine su se redjali kao na traci i ja sam siguran da su mu Zek Braun i Dzonatan Nil to dozvoljavali, pa mozda cak i ohrabrivali da ocrni Hondu. Ali ispostavilo se na kraju da nije ni morao. Svima je jasno da je Honda nesto najzalosnije sto se pojavilo u F1 u poslednjih 10 godina. Je l ti verujes u podatak da su u onoj jezivoj 2015. Meklarenovi bolidi kada se sve sabere imali kazne +305, a ove sezone, tri trke pre kraja, imaju kazne +380?!!! Nesrecni Stofel koristi 12. motor ove sezone od dozvoljena cetiri. Imamo manje bodova od mizernih 27 koliko smo osvojili 2015. Da se muce pa da osvoje titulu 2020. bi imalo smisla prihvatiti da je to izvodljivo sa Hondom. A nista ne ukazuje da jeste izvodljivo. Na kraju trece sezone ovog nesrecnog projekta njima i dalje crkava dva motora za jedan vikend a ono sto su najavljivali da ce doneti na stazu u avgustu (cuvena specifikacija 4.0) nikada nece ni ugledati stazu. Opcija Reno je bila jedina koja moze da dugorocno spasi tim. Da pomogne da Meklaren postoji i 2021. godine. Titulu sledece godine necemo osvojiti, ali cemo se barem trkati i trud koji je ekipa iz Vokinga predvodjena Prodromoum ulozila da napravi ovako dobru sasiju biti nagradjen, samo je pitanje koliko.